Now we move into the area of Plotting and Publishing. 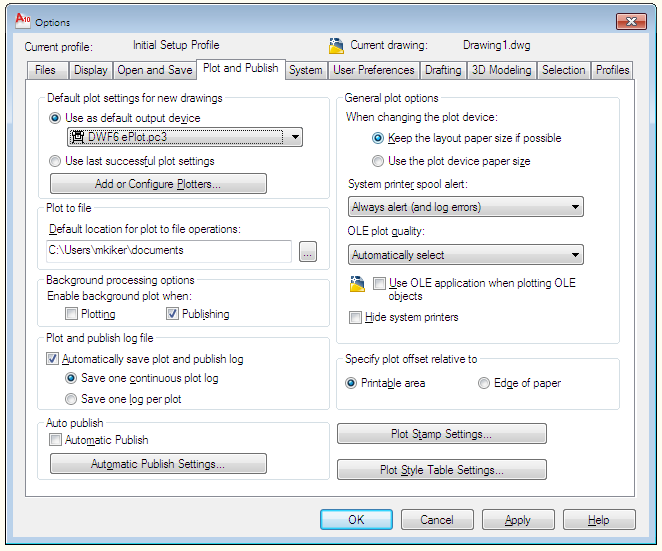 Here you can set the default settings for new files, Plot to file settings, Auto Publish and Background processing options. 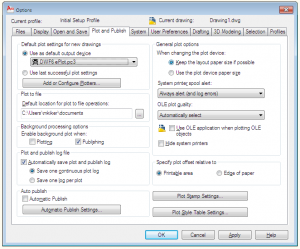 General Plot options are set related to drivers, plot style tables, output devices and more. This one box can save you so many headaches if you get it right.